Yesterday I had to wrap up a few small things for a client before “officially” starting my holiday (which begins today because of school schedules). I handle their Facebook page and needed to get a post up, catch up on “likes,” etc. When I open Facebook, it automatically goes to my personal account, and it was a full half-hour before I made my way to my client’s account. Where that half hour went, I have no idea. It was as if I was lost in some sort of social media time warp where three seconds is 30 minutes in “real” time… kind of like the whole “Fido is 108 in dog years” thing. It’s this kind of situation that makes me thankful for deadlines. And as we approach the culminating experience of the Thanksgiving season, our awareness of the full-stop on meal preparations is likely quite acute. We are hosting at our home. I am crossing things off lists, figuring out oven temps and times, and preparing for the juggling act that has already had me doing things like pushing a grocery cart with my elbow while squeezing my cell phone between my ear and my shoulder on the phone with the furnace company and using my other arm like a traffic cop to direct my children away from the bread samples and over toward the wine section. This isn’t a recipe for gratitude. It’s the near-silent beginning of a crescendo that offers the strong possibility that I will lose it over too many sweet potato skins hitting my freshly steamed floors this evening. But what I am thankful for is that tomorrow, whether I am ready or not, the deadline will come as I pour and pass delicious cranberry cocktails, sink into a chair and feel the stress exit my nerves due to either that first sip or the fact that the turkey is my husband’s gig, not mine. 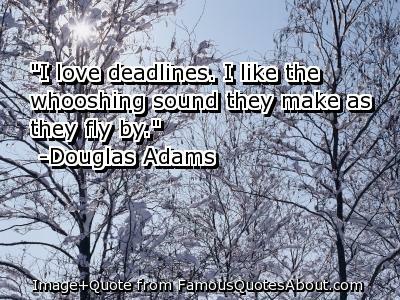 Deadlines move us forward, whether we hit or miss them. When you don’t make them, you may find yourself tracking down a restaurant to deliver or losing a client because you couldn’t deliver. In the end, you are a different person. You may be wiser for the mistake you made or reassured in your success, but you have changed on some level. Sometimes it’s just nice to have a deadline because you know what you are waiting for will come. I’m looking forward to tomorrow. Happy Thanksgiving, everyone! I’m taking a page from Paige (Paige Worthy, her real name) and hopping on the NaBloPoMo bandwagon, shooting for a blog post every day. For the uninitiated, NaBloPoMo stands for National Blog Posting Month and is a take on NaNoWriMo, which is National Novel Writing Month. I should be doing NaNoWriMo, but I am opting for NaBloPoMo for a variety of reasons I won’t go into here. Furthermore, I will continue the copycat trend by blogging about thankfulness. 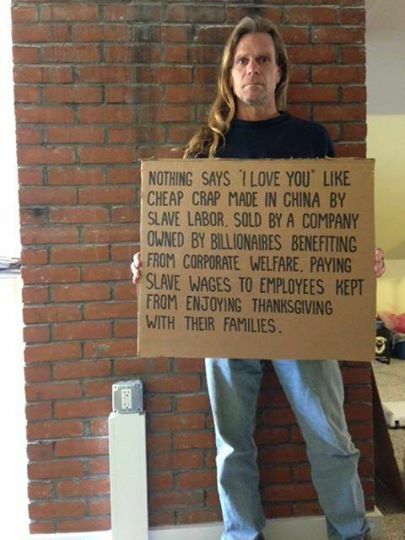 It’s the season of gratitude, and Thanksgiving is my favorite holiday. This is the perfect recipe (I hope) for getting me into the habit of posting more often. I sat here for ten minutes trying to cook up an idea on thankfulness. My mind was blank. I got up to make dinner while thinking about what I am most thankful for… family, friends, health. But it seemed a gross understatement to blog about being grateful for those things. I think we need an entirely new word for that. Then I looked at those three words and saw instantly a common thread — time. None of these things can be appreciated in the absence of time. Can you give and receive love from your family without committing time to them? No. Can you appreciate the support and company of friends without spending time with them? No. Can you enjoy good health without putting the time in to maintain it? Not if you’re a midlifer, at least. 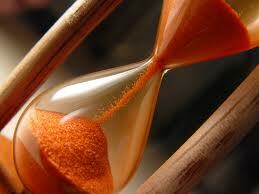 The more I age, the more precious time becomes in my life. I can remember slow-moving Sunday afternoons in my twenties when there seemed to be just enough time… and maybe a bit too much… to enjoy the day. It has been so long since I haven’t felt the window of time closing on one activity to move on to the next. The pace of my life is frequently abrupt, and I cannot picture it going any faster than it does now. Even when I am waiting impatiently, I think about how my time could be spent doing something else, and I feel the lost opportunity as the minutes pass. When time walks out the door, it’s over. It never comes back. So, I am launching this month with my thanks for time. I wish I spent it more wisely. Every day I recognize that I don’t manage it as well as I would like or always use it in ways that are productive. But I am very grateful for all that it has given me.